Do you want to display login and register forms on any page on your site? With WPForms, it’s easy to publish your forms anywhere on your site, whether it be posts, pages, sidebar and widgetized footers. In this article, we’ll show you how to display WordPress login and register forms on any page. In order to publish WordPress forms on any page, you’ll need to create your custom forms first. The easy way to create a custom WordPress login and register forms is by using WPForms. To be able to create a user registration form, you’ll need to install WPForms’ User Registration addon. After the installation, you can easily create a registration form using the drag and drop builder and customize the fields per your needs. You can even connect your form with your newsletter and accept payments for registration. Read how to create a registration form in WordPress for detailed written instructions. Once you installed the User Registration addon, you can also create a custom login form using the drag and drop form builder. 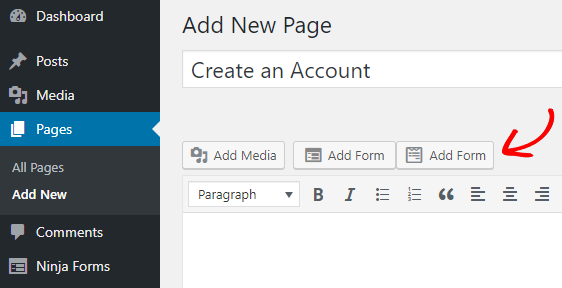 Read how to create a custom login form in WordPress. WPForms makes it easy to display your forms on any posts or pages. To display your form on a page or a post, simply go to your post or page editor and click the Add Form button above the text editor. A modal popup will appear that prompts you to select the right form. After selecting the form, click Add Form. You’ll now see that a form is being added as a shortcode. 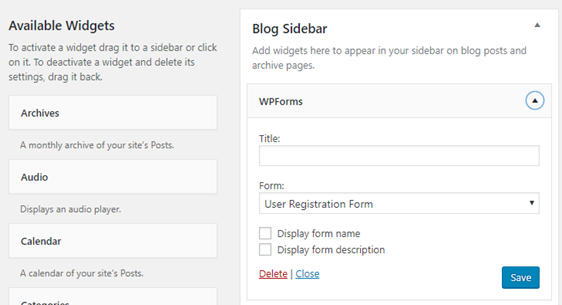 WPForms comes with a widget that allows you to easily add your forms to your sidebar and footer. 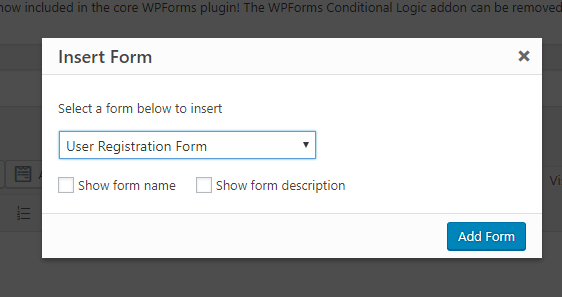 All you need to do is to add the WPForms widget and select the right form. 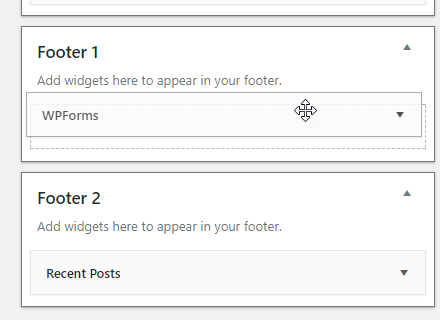 Similarly, to publish a form in your widgetized footer, you just need to add the WPForms widget to the Footer widget area and choose the right form. We hope this guide helped you display WordPress login and register forms anywhere on your site. If you liked this article, you may also read 10 simple tricks to eliminate spam user registration. I’m not quite sure I understand your question entirely so please feel free to clarify if that’s the case. But, if you’d like to view the filled out form and you have a paid license, you can log into your site, go to WPForms > Entries and view it there.